This post by Heather Hurst, Workfront Corporate Marketing Director, originally appeared on Workfront’s Work & Project Management Blog. We think it will be useful to our readers. Enjoy! If you’re like most teams, requests come at you from all directions every single day, keeping you from truly being productive and focusing on your most important work. You probably waste a lot of time sorting through emails, following up on sticky-note requests, and handling surprise meetings that just add more to your to-do list. Request management can be chaos. Besides being a drain on your efficiency, poor request management creates the perfect environment for things like misaligned priorities, lack of communication, poor planning, mismanaged expectations, and other damaging issues to thrive. 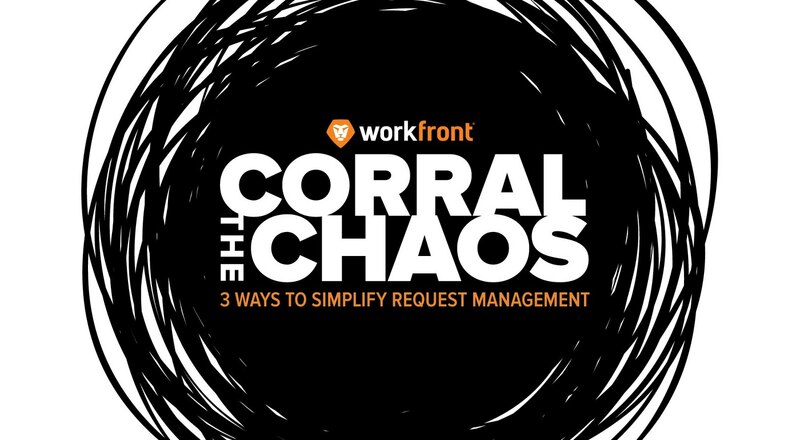 But, these three tips will help you simplify your request management process so you can avoid these problems and make work productive, inspiring, and satisfying again. When you have requests coming at you through email, hallway conversations, notes on your desk, instant messaging, and multiple tools, it’s next to impossible to keep up. Lack of visibility means you don’t have an accurate view of timelines and workloads, so you won’t be able to get everything done, let alone produce top-quality work. Simplify your process and do away with disorganized requests and you’ll find that you can effectively manage your workload and won’t be scrambling every time a new request comes in. You’ll know how to handle it and have the time and resources to do it well. Jim Shaffer, senior project management consultant at Enable Midstream Partners, recently said that the key to implementing a centralized request management system is choosing a system and sticking to it. "This lets team members and stakeholders know that this is the single source of record for all work requests. No more requests on sticky notes. No more water cooler conversations. "They’ll get on board once they realize that this is the way for the request to actually be heard. And the key here is no exceptions." Your request management system needs to have the tools in place to capture all the necessary information you need to execute requests the right way the first time. We’ve all been there: you take on a task and follow through with what you think the requestor needs, only to find out you missed the mark and have to waste time backtracking and redoing work. Avoid this situation altogether by using a very specific and customized work request form that requires requestors to provide all the information you need to be successful. "If you eliminate the need to email the requestor back and forth asking for clarification or getting more details, this allows you to get started immediately and to finish even more quickly." Getting all the information you need before you take on a request will also help you see how a task aligns with company goals and help you document your work so you can prove your team’s success. "Showing you how your projects line up with your company’s strategic goals—that’s really important. It’s critical for providing value. But if you can’t track and monitor a single project’s trajectory, it’s going to be really difficult to prove that value." Capturing necessary information through a centralized request management process will help you prove to stakeholders how your team helps the company achieve goals. The final key to simplifying request management is empowering employees to say “no” and to manage their work in a way that lets them focus on priorities and get things done. Shaffer said this means turning down requests that don’t come through your centralized request management process. "Your team members need to be empowered to say ‘no’ when their request is delivered outside of the tool that you’ve chosen. This is important. This is important." When employees know they can deny these kinds of requests, they will feel more comfortable enforcing your new request management process, encouraging adoption across departments and simplifying work to prioritize those tasks that are aligned with strategic objectives. A team that is empowered to enforce a request management process will also spend less time on administrative tasks that inhibit real work from getting done. An effective request management process is absolutely essential for teams to successfully balance expectations, manage resources, and provide value. Workfront provides the tools and these tips will help you get the right process in place. 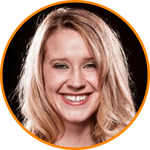 Director, Corporate Marketing, Workfront - Heather has enjoyed playing the game of marketing for the past 15 years, at the agency and corporate level, in both B2C and B2B companies. She's run PR campaigns that took her from the MTV Beach House to NASDAQ and many media outlets and content channels in between. She is currently the Corporate Marketing Director at Workfront.